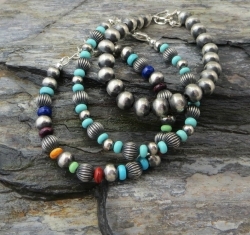 Native American bracelets are a stunning accessory for both men and women. 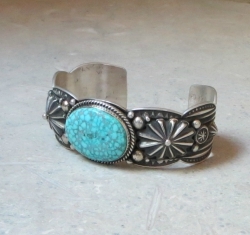 Southwest Silver Gallery is proud to offer a range of authentic styles handcrafted by extremely talented Navajo, Santo Domingo, Hopi, Zuni Indian and Southwest artists from New Mexico and Arizona. Our family-owned business has deep ties with these artists, allowing us to bring you the highest quality Native American Indian bracelets at the most competitive prices on the market. Shop with confidence in knowing you're purchasing a piece of jewelry that's designed to last. 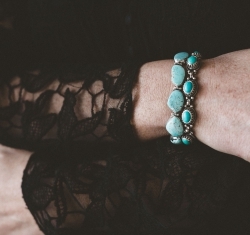 Whether you're looking for a Native American turquoise cuff bracelet to dress up a casual outfit or a beaded bracelet to wear for a dressy night out, we have exactly what you need. 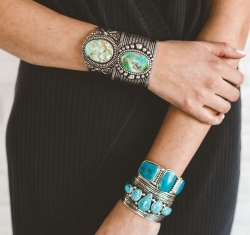 We're proud to bring you one-of-a-kind, high-grade Native American jewelry you won't find anywhere else. Enjoy wearing jewelry that was handcrafted for you - and only you - by a gifted artist. There's something very special about having a beautiful bracelet that's all your own. Find yours here. When shopping for Native American bracelets, you certainly have your choice of retailers. However, you won't find the same level of quality in every piece. Southwest Silver Gallery is proud to bring you the best with every single piece of jewelry we sell. 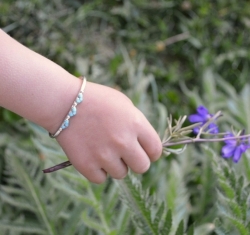 Our beautiful bracelets are made with .925 sterling silver, so you can always depend on their superior quality. Plus, all of our jewelry comes with a Certificate of Authenticity and your satisfaction is guaranteed. 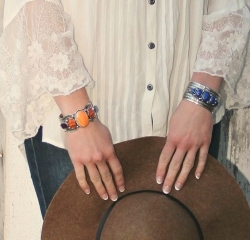 At Southwest Silver Gallery, we're proud to bring you stunning bracelets you're proud to wear. Most of our bestselling items are stamped with the artist's official hallmark. We know how frustrating it is to purchase a beautiful bracelet, only to have it break in no time at all. You won't have to worry about that when you shop with us, as we offer free repairs on all jewelry purchased from Southwest Silver Gallery. Our family-owned business takes a tremendous amount of pride in the jewelry we sell. We're committed to providing you with a level of service you can't get at a big box store. Don't hesitate to contact us with any questions, because we're always happy to help! Whether you're shopping for yourself or need a gift for someone special, we're confident we have what you need. 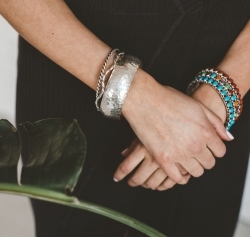 Shop our huge selection of stunning Native American bracelets today to find something new to add to your collection!